We don’t stop caring about you after you drive off the lot. In fact, with Honda Plus Roadside Assistance coverage, we’re there for you 24 hours a day, 365 days a year in Canada or the Continental USA. And with over 20,000 approved towing and roadside services, we can help when you need it and get to you as quickly as possible. 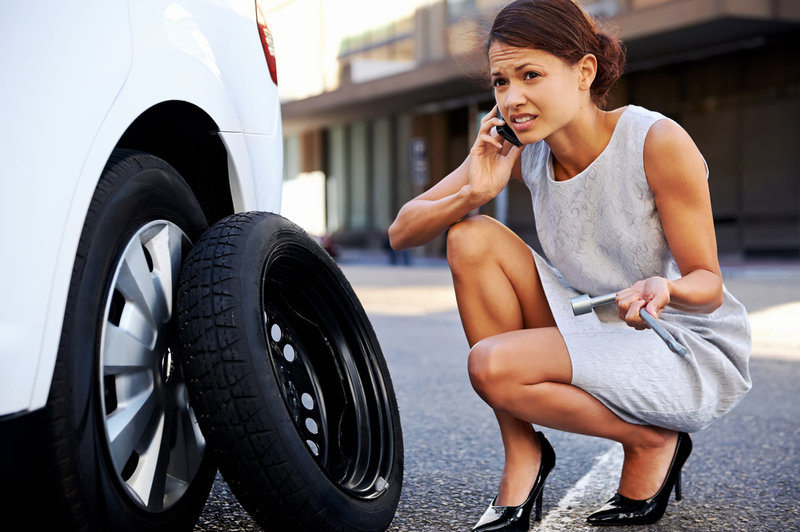 So what do our standard and comprehensive roadside assistance plans cover? Let us tell you! It can be embarrassing, but it happens. You leave a light on and your battery dies. You were rushing and you lock your keys in your car. You thought you could drive just a little further with your gas light on and you were wrong. Don’t worry. We have you covered. Honda Plus covers fuel delivery, battery posting and changing flat tires under emergency services. The lockout service will help get you into your vehicle if your keys are ever lost, broken or locked in your car — you only pay for the replacement key if you need one. And if you ever get stuck in snow or mud or wind up in a ditch, winching service covers up to $100 per service. If your car breaks down, we won’t leave you stranded! We will tow you to your preferred dealer within 100 km or the closest one in 300 km. We know how inconvenient it can be to be left without a car, so we will even help you get home in the event of a breakdown within 100 km. More than a 100 km from home? We will provide you with up to $500 for emergency accommodations, meals and car rental. If you get into an accident, the same rules as above apply. We will tow you to your preferred dealer within 100 km or the closest dealer in 300 km. If you are in a serious accident that requires hospitalization more than 100 km away from home, you get up to $500 for accommodations, meals and return of passengers to their home. Honda Plus will also make every effort to get a message home to loved ones, friends or business associates so you don’t have to. You have enough to worry about, let us take care of you. If the repair time on your vehicle is more than 5 hours or your chosen dealer does not have the parts needed to fix your vehicle, you will be allowed up to $35 per day for up to 5 days for a rental car. Being without your own car is inconvenient enough, we won’t leave you completely vehicle-less while you wait! If you are planning a road trip, call 14 days before you leave and we will send you a touring information package that includes a trip routing map, road, city and vacation area maps, details of places of interest en route and more. We make vacation planning easy! At Henley Honda, we understand that accidents happen. Even when you have the most reliable vehicle, road conditions, extreme weather and other drivers can cause problems you weren’t expecting. For those “just in case” situations, our Honda Plus plan will give you the unique coverage necessary to help you out. A 3-year, standard factory roadside assistance plan is included with every new vehicle we sell — that means you automatically have access to 24-hour assistance when you need it!